The worm meshes with the gear on one of the chassis, on the other it does but doesn't engage fully, but as I'll be replacing the wheels sets to the correct diameter wheel, it shouldn't be an issue really. I'm considering casting some of the older types of Pullman car that are more suited to my future layout, such as the Brighton clerestories (including the PUPs), the Hastings kitchen car Pullmans and perhaps some of the SECR 'American'/Pullman cars, also. This post will be outlining a possible path to the Hastings Pullmans, and how I'd go about creating the body. As is, a Hornby Kitchen Parlour car (in this instance, Argus), is 25.5cm over the buffers, and around 3.5cm wide. The Hastings cars were 57 1 1/2 inches long,and thus around an inch has to be removed from the model's length. There is one window too many on this side, however the spacing of the windows is correct and there is also the kitchen window. With a window removed and some of the bodywork also trimmed down in length, the model would now sit at 23cm, the correct length. 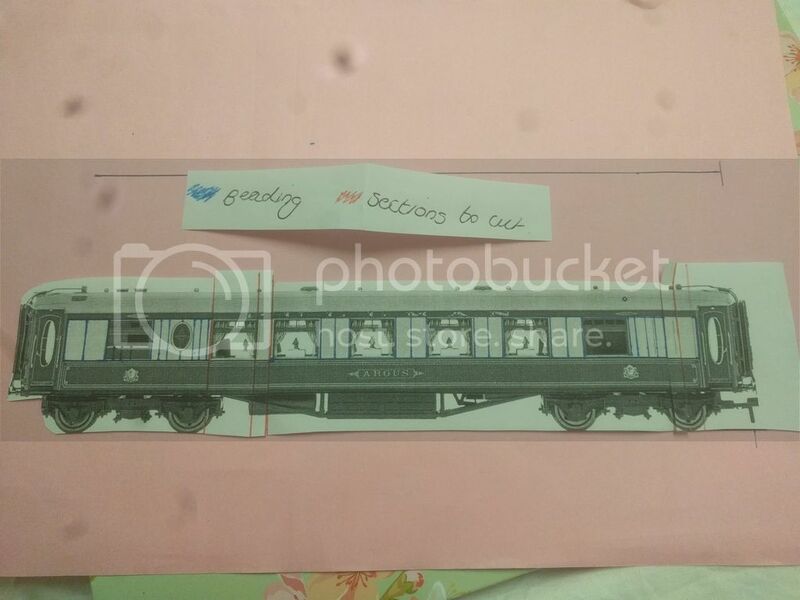 I did also trial this with a print-out of the Railroad Pullman Parlour but it did not look nearly as accurate, especially given the Hastings cars were matchboard sided, and thus using a main range Pullman would avoid this problem. In terms of width, the car would have to lose around 7 scale inches, or 0.23cm. Whether this seems worth it or not, I'm not yet sure. I'd like a noticeable difference, certainly. What I'd probably do would be to remove the gangway connectors, and any roof detail I could then cut the model straight down the middle with a circular saw and then fix it back together, probably with bracing inside. This project, if I do undertake it, will require more research into casting in resin and how to go about it. I did find this video - https://www.youtube.com/watch?v=dBEK_Jyfvek - extremely useful for explaining the process and how to go about it, especially as my casting will be hollow. If it does work, I'll be salvaging the chassis from the model and perhaps casting from that too, or constructing a new chassis from metal and recycling the underframe detail and bogies as far as possible. If anyone has any advice or pointers, or even an opinion on this potential project (which will be a way off yet) please PM me. I'd thought it was 8' but according to a scale diagram, apparently not. It's 9'. From my research the C8 is still an 8' wheelbase so I shall still continue the build on this, but it just means I now have two tenders with which to run it. 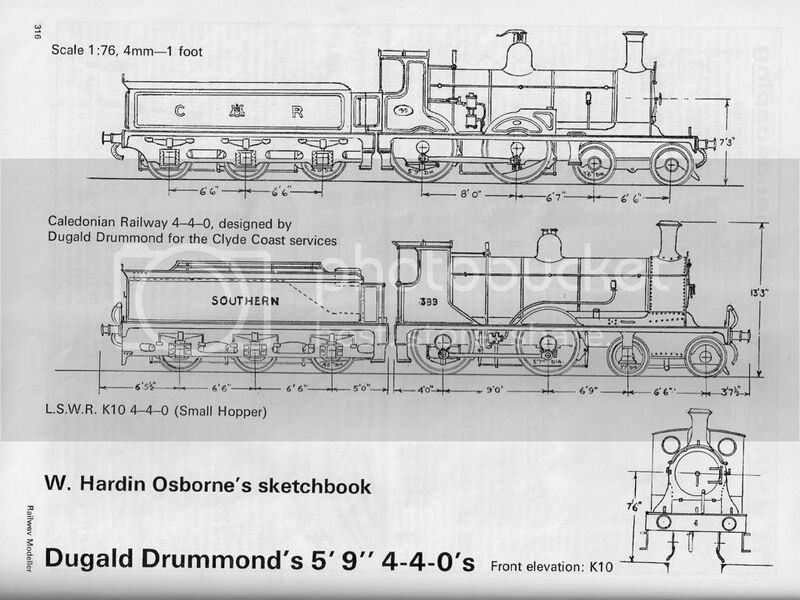 (Original credit to W. Osborne for the sketch in Model Railway Constructor). The spacing of the wheels is 2mm shorter than that on the 'Toy Story' chassis but for the sake of an unnoticeable 2mm, I don't think I'll be too concerned. Yes, I know it's half a foot technically but while I enjoy accuracy I don't want to spend forever trying to find yet another chassis with suitable spacing. Following BlueLightening's thread on their LBSC layout, and their 'Gladstone' build, I think I shall follow a similar pattern... I'll try and find an old M7 body for the splashers and smokebox, however for the tender I am awfully tempted to look into a Caledonian Single body, as it looks to be more or less the correct outline, including the toolbox at the rear. All I'll need to do is fit an inside-bearing chassis for the wheels. I doubt I'll have to lower the height or shorten it (too much). The cab will be constructed in plasticard, as will the roof. Chimney will be sourced from Alan Gibson, most likely. I'll finish the locomotive in either Marsh Umber with a white roof and gold lining or in red lined black with a black roof. I suppose it depends what takes my fancy. In spite of number 182 'Hastings' having been scrapped in 1910, I think I'd quite like to have the name for the loco given it's the setting of the eventual layout. In other news, I'm back in Leeds for a week visiting my parents and I've found a few little things I'd forgotten about which I'm taking back down to Hastings with me. Namely a trio of Hornby MK1s, the brake of which I'll roster into my Pullman excursion train for Rye Model Railway Expo on the 21st. I may well sell them afterwards- they're only basic but I've no need for them really. From initial research, the C8s and K10s shared the same wheelbase, frames and boiler but the K10 had smaller drivers... I think I've probably gotten confused with the class name and the wheelbase- a simple mistake but embarrassing nonetheless. Still, I think I might just stick it out with the K10 (simply remove the wingplate from the smokebox of the C8) and finish it as a narrow cab locomotive. It may not be fully prototypical but at this point, I just want to finish the project. As already mentioned, I'll keep the two tenders for use with the locomotive (the six wheel tender will make more sense as the eastern section had shorter turntables). Deary me, research certainly pays off doesn't it! With that spare body, I'll still attempt the B1 Class, I'll just have to adapt it a bit further. One day I will finish a project..
.. If scaling didn't make it so damn awkward! The map from Google showed me that the distance between the two points worked out at 2500 feet, or 10 metres in 4mm scale. Ah. And the depth taken from the old plan indicated that, from the cliff behind the station to the foremost yards (including those which were on the site currently occupied by Sussex Coast College) worked out at a scale 7.5 feet approximately. Clearly, I've got some trimming to do. I feel like I can lose 2-4 feet from the depth, and still retain a fair representation of the sidings. The turntable (or turntables- some accounts I've read suggest that there were two of different sizes) and buildings I can also suitably reduce to fit the dimensions I'll eventually work with. In terms of length, I'd prefer not to have to run to 10m, especially as I'd also like to have a fiddle yard behind (working in a 'roundy-roundy' fashion) and be able to run reasonable length trains- say, five Maunsells or Pullmans and a locomotive. This would require the station platforms to be around 2m long- this does include space either side of the train itself. 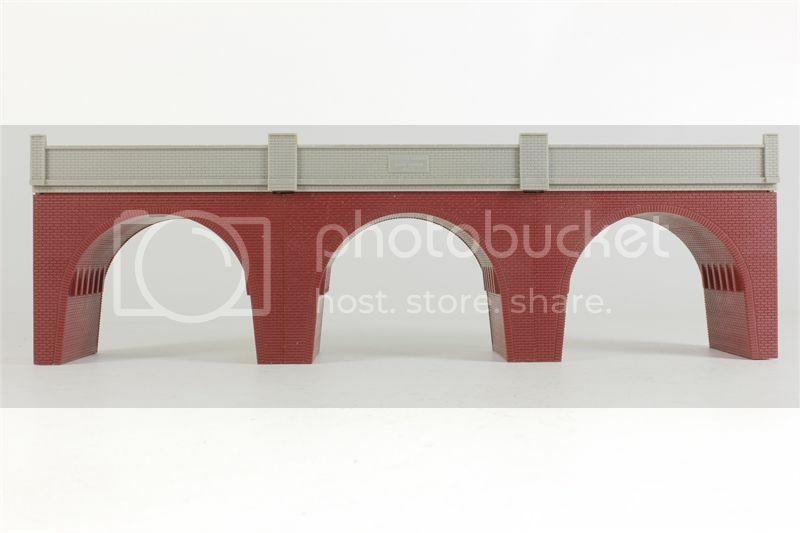 Looking at the bridge over Linton Road, at the tunnel end (West) of the station, it bears some similarity, to me at least, of the Hornby 'triple arch viaduct' piece available. Yes, I'd have to remove the girders from the top of the moulding, some judicious repainting and weathering would be needed, not to mention the balustrade at the top of the bridge and extension of the pillars but I feel like it might work. - the signalling and the 'boxes were almost certainly SER fare, though I'm curious as to whether Brighton crews had to learn this system solely for St Leonards and Hastings workings. - there were three signal boxes at Hastings until 1930- West, East and Goods Yard. Presumably these were for controlling the line up til Bo-Peep (possibly Eastbourne) and Rye, respectively. 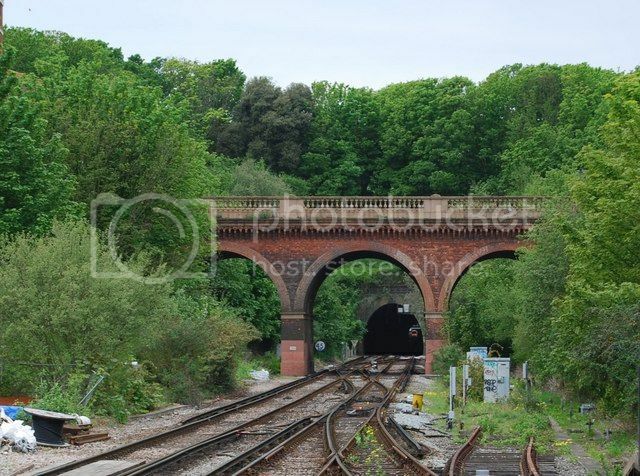 - the station building was possibly in Italianate style, similar to that seen at Rye. 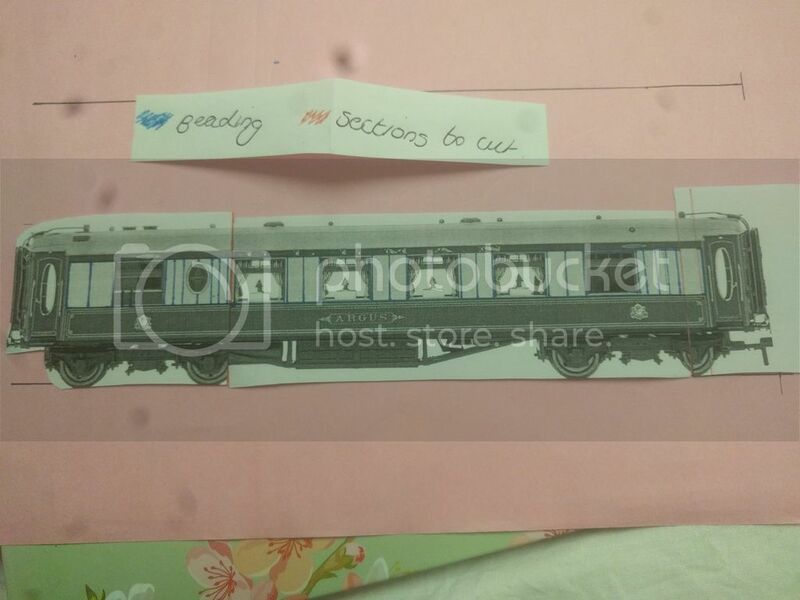 - I had looked into the SECR steam railmotors for workings between Ashford-Rye- Hastings and Eastbourne-Hastings for market days and the like. However, they were all withdrawn in 1920, converted to two coach sets in '24 and set to work with the P class. So, with that in mind, I'm just waiting now on some feedback from inquiries. I'm in Leeds at the moment visiting my parents and I'd like to get over to York before I go to Manchester to see my partner on Wednesday, though I'm leaving it somewhat late. If I can, though, I'll go and see if I can't get some detail on the station. Slightly off-topic, but it does still relate to the railmotors- I read somewhere that some ex SECR Push-Pull units were converted to articulated units and put to use in the South-West. Shame they didn't stay more local, I do love a good bit of articulation. Maybe I ought to develop one, just for the giggles. I forgot to mention, the MK1 brake that I've found at home- I'm toying with the idea of repainting it into a very basic representation of Pullman livery, to run with the Rye expo Pullman rail tour rake. I couldn't sleep and the shade of the Railroad Pullman was still bothering me, so I dug it out and went over the majority of one side in the Dapol umber, which I must say still looks too dark but is actually much closer to the other Pullmans I have than other shades I've tried. Still, hopefully there won't be too much contention over colour- I'm going to Ashford today and I'll be able to have a look in Wilko then for some hopefully suitable cream/white shade for the Pullman body, as well as a white for the roof. Photos will be taken in due course. In other news, the Rye show went very well minus a few hiccups with the trains stalling - I feel like that may have been down to electrical connections not being fantastic though, and less than perfectly clean track. Nevertheless, it was a nice show though I was irked by how expensive the main trader was- shop prices, and for less than shop quality! There were a few interesting layouts there, including an 009 of the Volk's Electric Railway- I rather liked that! Made me remember that the Ore Power Station which powered Hastings' tram system had a siding off from Ore station, and so I see a lot of coal or coke traffic heading through Hastings' sidings. Still rather annoyed I can't find my bowpen, or, for that matter, Pullman transfers that are pre-1930. I'm sure the herald must have changed at some point, in size at least. The lining didn't really, from what I've seen, bar the removal of scrolls. Hmm. I may have to just use the existing transfers and hope for the best, I suppose. Bufferstop wrote: Re the Hornby 0-4-0s It is possible to swap the gears on these chassis for a combination with a higher ratio, if you can put up with the noise. "Freshly ground coffee anyone?" It's actually far less trouble to buy a complete new China made chassis from somewhere like Peter's Spares. Given a very light lubrication and half an hours running in they become quite controllable. Where do you get these different gears from? Also, are brass gears available to fit the little Hornby 0-4-0's? The finer pitch small gears have been used at various times on Triang and Triang Hornby motor bogies, it's a case of looking at lots of old models to find where they have been used, then searching through the service sheets. The biggest problem is they have never been listed with the details like pitch, diameter and bore, which would make finding them easier. Thanks Buffers top. I remember someone mentioning it about Triang motor bogies. You've got me thinking now. Ah yes. The autosmell thing which changes what you write! They call it artificial intelligence! Blimey, I hadn't realised I'd not updated this in almost a year! I'm afraid the Hastings project has rather stalled, at least until I have space in which to construct the layout in a space and to a size which is fairly representative of the actual station; as it stands at the moment, I have access to a maximum of ten feet, which whilst not a bad length, is still a bit too short really for anything substantial. In the meantime, I will be working on the rolling stock for the project, continuing my research, and possibly building a smaller layout, just to keep myself busy, and may eventually sell it on. Bachmann N: conversion to N1 using GBL tender top and SE Finecast footplate casting; SECR Wartime grey livery. Golden Arrow E1: undecided chassis, cab and rear curved footplate to be replaced with GBL N class; SR green passenger livery. GBL C class: will be motorised with Hornby 0-6-0 chassis; SR black, possibly with retained brass dome. GBL C class: already motorised with Hornby 0-6-0 chassis; SECR wartime grey. GBL and others LBSCR B1 class: undecided motorisation method or additional parts; LBSCR umber. Golden Arrow O class: backdated from O1 using cut-off Stirling pattern cab and altered boiler fittings; SR black. 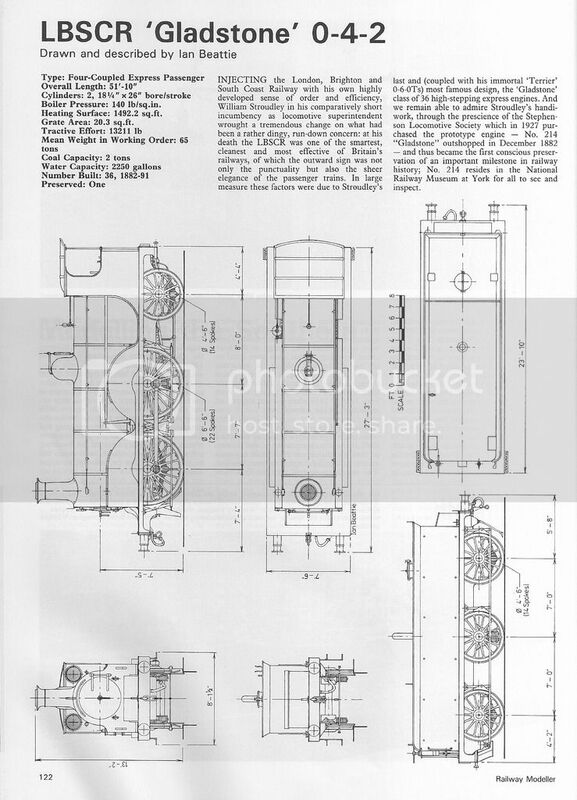 Graham Farish Pullman brake: compared to Ford's 12 Wheel Cars diagram of the GER cars, and matched. Will be fictitious car, named Amelia Anne for my sister and finished in SECR 'Madder Lake'. Match board paneling will possibly be cut away and replaced to base of chassis with plastic card in finer pattern.Roof will be painted in white. Hornby bogies and illuminated interior, Kadee mounted to floor (corridor end only; brake end will have no corridor) buffers and roof details undecided producer, possibly Keen. New doors from Comet. Paper corridor connection once painted. New window frames possibly home-etched. Hornby 'Monaco': repainted roof in white (needs redoing and varnishing), underframe to be weathered, buffers will be replaced (possibly Keen) in retracted position, floor mounted Kadees. Paper corridor connections to both ends. Looking into possibilities for conversion to SECR 'Madder Lake'. Hornby ' ' Pullman car: repainted roof in white (needs redoing and varnishing), underframe to be weathered, buffers will be replaced (possibly Keen) in retracted position, floor mounted Kadees. Paper corridor connections to both ends. Looking into possibilities for conversion to SECR 'Madder Lake'. Graham Farish Maunsell Southern corridor coaches: new underframes to be constructed, possibly in plastic strip. Composite coaches to be converted to 'Thanet' outline with partial window layout reworking (overscale in length but still look the part). Bogies to be retained. Roof and buffer fittings to be determined. Finish will be SR Olive, unlined. Will be sold on once complete. Hornby Maunsell blood and custard composite first: considered conversion to Maunsell Hastings gauge car, but will not proceed due to late introduction date of cars (1929-31). Will weather, possibly fit lighting, may detail, and sell on. Bachmann 'Henrietta' ex GER/W&U tram coach: roof detail to be replaced (most likely shell outline). New buffers and couplings required; screw link heavily considered. As is fictitious acquisition by KESR, chocolate and cream as per their livery may be applied, or 'scrumbled' teak as per transfer to KESR. Hornby coal wagon: to be weathered, three link coupling or TW 'goalpost and pin'. Oxford Rail coal wagon: weathered (requires better efforts), three link coupling or TW 'goalpost and pin'. Hornby scrap wagon: to be weathered, load fitting, three link coupling or TW 'Goalpost and pin'. Also requires new buffer. Bachmann coal covered wagon: weathered (requires better efforts), three link coupling or TW 'goalpost and pin'. Requires new buffer. Hornby covered wagon: requires repainting and weathering, three link coupling or TW 'goalpost and pin'. Possible new chassis; Dapol/Peco 8' chassis? I hope this is a clear identifier of where I'm at currently; to be fair I hadn't paid attention myself, and trying to work all of this out was quite the challenge! Edit: I'm sorry all the photos are only available by link at the moment; when I downloaded them from my drive and then tried to upload them directly they were purportedly too big, so I attempted to link them as images on here using the individual links from my Google drive which still didn't work, hence their inclusion as URLs at the moment. Hopefully I'll find a solution soon! Very nice. Lots of projects on the go there. Is a bit like me! II have a few almost finished items and a few part built. I tend to get my mind on another project before I finish the last one, so I need to have a project finishing time! Love the little tram coach. I'm terrible for it, I'll find something else to tinker with and before I know it my original projects are so far back in the queue I get into a panic thinking I'll never finish them! But, I imagine I can finish most of these by Christmas, and then hopefully have some stock to actually run at my club. Actually its a relief as I'm glad I'm not the only one!